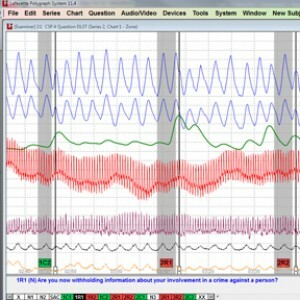 Polygraph (lie-detection)...Getting to the truth of the matter. Polygraph Examination or more commonly referred to as “Lie Detector Test” is an investigative tool widely used by law enforcement agencies, prosecutor’s offices, and defense attorney’s to assist in the confirmation or elimination of suspects, witness’ and/or victim’s testimony. It is a highly cost effective and reliable process which helps reduce and eliminate wasteful investigative man hours and expensive resources used when searching for the truth during an investigation. Shawn’s 22 years of experience as a polygraph examiner and 15 years as the chief polygraph examiner of the Michigan State Police (Ret.) has given him a highly specialized position of unique and valuable experience in getting to the truth of the matter. For example, millions of dollars, annually, of tax payer’s, as well as, individual citizen’s monies have been saved by the use of polygraph. Shawn has had a direct impact on the financial, emotional and physical cost that can accompany investigative cases. He has been personally responsible through the use of polygraph and interviewing for the reduction of cost and time used in the location of crime scenes, evidence and the extensive use of search parties for missing individuals in a geographical area which can and do consist of expensive resources (crime scene investigators, helicopter, k-9, underwater recovery, bomb squad) that are associated with these cases. By employing polygraph, Shawn has been able to get directly to the truth of the matter which has prevented, reduced or eliminated the use of these costly resources during investigations and court processes. Whether it has been bomb threats, domestic and foreign terrorism, hiring and retaining of attorney’s-when falsely accused of a crime, plea bargains offered in case investigations or assisting in sentencing guidelines to help save on court costs and long drawn out trials; Shawn’s abilities and gifts to get to the truth has greatly and positively impacted the criminal justice system and the citizens who live in it. Visit our FAQs page for frequently asked questions about Polygraph exams.